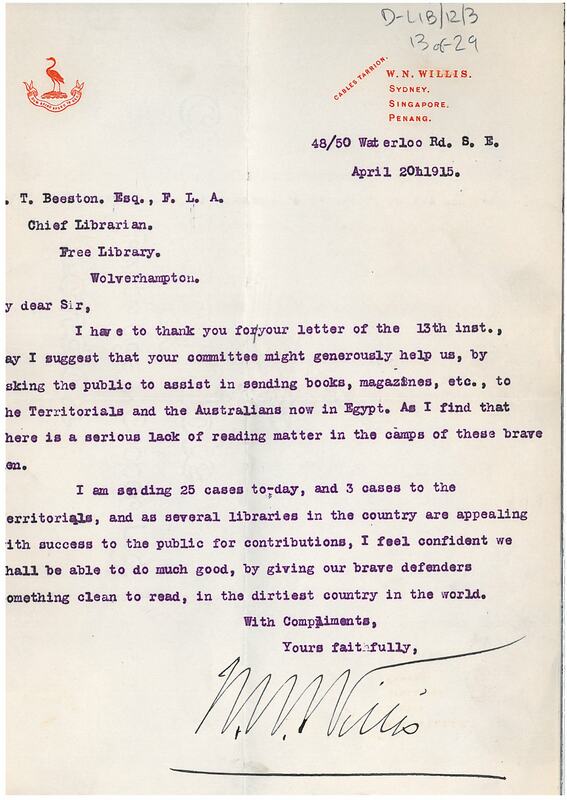 During the First World War, Wolverhampton Borough Council expanded its responsibilities to assist with the national and international situation. This included setting up new committees and sub-committees to deal with recruitment, registration and war loans, among other areas. The people who ran West Park did their bit for the war effort too, growing vegetables in the park and breeding rabbits and ducks. Other activities the Council were involved with included the work of Mayor Frank Myatt and his wife, who organised supplies and provisions for soldiers at training camps. There were also committees set up for the Utilisation and Feeding of Horses Committee and for Pig-Keeping, as well as one that looked after the price and rationing of coal, the Household Fuel and Lighting Committee. As today, the Council looked after many aspects of daily life, and the war led to a need for far greater Council intervention. I will explore the war work of the other local Councils, including Bilston, Tettenhall and Wednesfield, in future blog posts. George Cadman was born in September 1884 in Wolverhampton, to parents George and Lydia. In the 1911 census, Cadman was living at 11 Star Street in Bradmore, with his parents George (aged 49), his mother Lydia (aged 49), his brother Percival (a bootmaker) and his twelve-year-old sister Ellen. In the earlier 1901 census at the same address is also listed his brother Alfred, aged 18. Cadman married Sarah Jane Pagett in June 1915, and they had a daughter, Marjorie Joan, born March 1917. During the war, Cadman served with the Essex Regiment, the Royal Fusiliers and the London Regiment in France and, according to a notice after his death in the Midland Counties Express, “was wounded and gassed”. Mr George Thomas Cadman Jnr came out of the hospital in May 1919 after 2 1/2 years having been wounded on War serivce. He had previously worked in aluminium in Birmingham for two years and also lived there. In 1920 he brought aluminium to Wolverhampton when he founded The Midland Metal Spinning Co. Ltd. Tower Works St. Marks Street, Wolverhampton, with his father Mr G T Cadman Snr, and Mr B Griffiths. Mr F P Webster came to work in the office and was later made a Director. The later [sic] moved to Herrick Street and later to the Clyno Works in Pelham Street. Due to War service Mr G T Cadman Jnr. died in June 1942. Mrs G T Cadman worked in the early days in the evenings until midnight wrapping up along with his sister Miss Nell Cadman who also died in June 1942. Mr Cadman worked all night mending the belts and at the end of the week had to draw his savings to pay the workmen and had no wages himself. Miss Nell Cadman and Mrs Cadman also worked without pay. He died on 1 June 1942 aged 56, leaving effects per probate to the value of £2089 1s. 6d., and is buried at St Philip’s Church in Penn Fields. The research for this blog was completed thanks to one of our volunteers, Ann Eales. Day Industrial Schools were instituted in 1876 for children whose parents refused to send them to elementary schools. 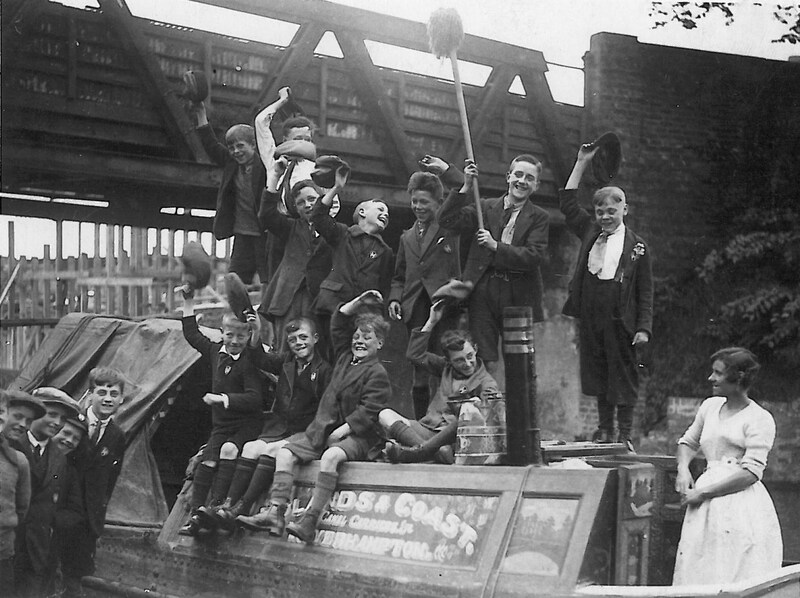 There were apparently 11 Day Industrial Schools operating around the country, one of them being located in Salop Street, Wolverhampton. Opened in 1881 it catered for 150 boys and girls “too ragged and too wretched for the ordinary elementary school”. It is believed the building was formerly used by Salop Street Board School. Activities at the school included basic academic study as well as mat making and wood chopping for boys and cooking and washing for girls. Average attendance in the 1880s was between 60 and 80. It is believed that the Wolverhampton school closed in 1919. The school log book for this school details how it was affected by the First World War. home on sick leave, having had a part of his cheek and nose, blown off, during the battle of the Aisme. He also received a bullet wound in the hand at the battle of Nons. This is the third of Frank Lockley’s reports on soldiers buried at Heath Town churchyard. Buried 17th April 1918, age 31. Grave ref. new ground 48/6. 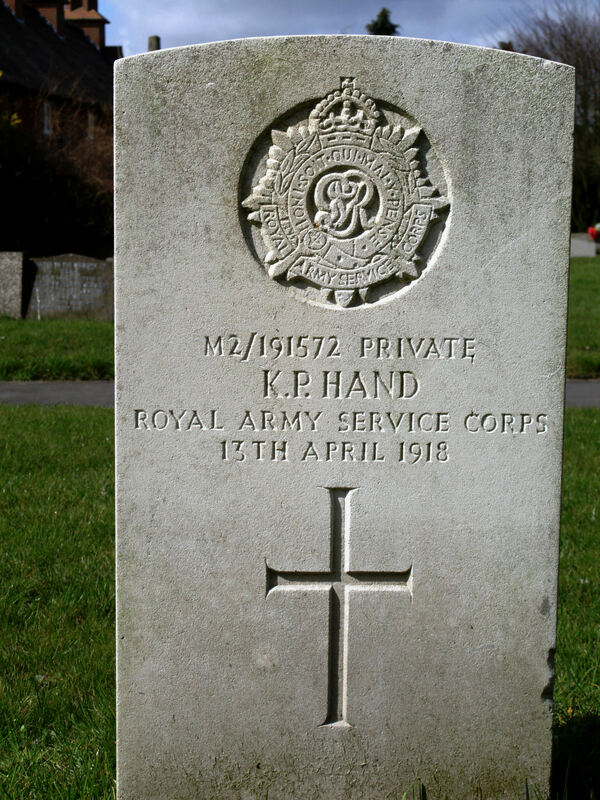 Kenneth Hand was born in Neenton, Shropshire in 1886, the son of William and Jane. By the time of the 1891 census the family was living in Bushbury, Wolverhampton. Kenneth was one of 6 children. 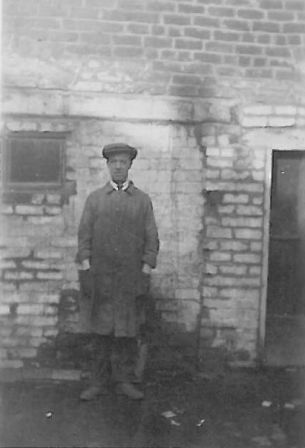 In 1901 Kenneth is an errand boy in an Iron foundry (age 14) and the family is living in Mostyn Street. The 1911 census shows Kenneth living in Coseley and working as a chauffeur. Kenneth married Ethel Matthews in Wolverhampton in 1914. We do not know much about his army service as his service records have not survived. We do know that he served with the Army Service Corps, serving with 613 Company. This was one of the many Mechanical Transport companies within the Service Corps. The Company was formed in January 1916 and was based in Liverpool. He died in hospital in Blackley Lancashire (now a part of Manchester) on 13th April 1918. Formed in January 1916 and remained in Liverpool as 25 Local Auxiliary Coy. Willenhall Road Board School, which later became Willenhall Road Senior Girls and Boys Schools, is the predecessor of the present Deansfield High School, in Deans Road, Heath Town. There are two log books available for this school for the First World War period, one for the Boys School and one for the Girls School. The Boys School log book talks of the war very regularly, and from quite early on. Already on 30 September 1914, the book states that “A form of prayers, to be used in time of war, sent by the education committee…will be read today & in future, in addition with the usual prayers.” A number of the male members of staff are recruited into the army. A Mr David, who joined in December 1914, on 29 September 1915 “paid us a visit this morning while home on leave.” On 4 February 1915, “Mr A. J. Hill, a senior assistant, left school this afternoon in order to join the army.” By 17 January 1916, he is known as “Sergeant Hill”. There is also a note on 31 January 1919 that Mr Hill, “who has returned from the army, will resume duty on Monday next.” He later became Headmaster of the school. 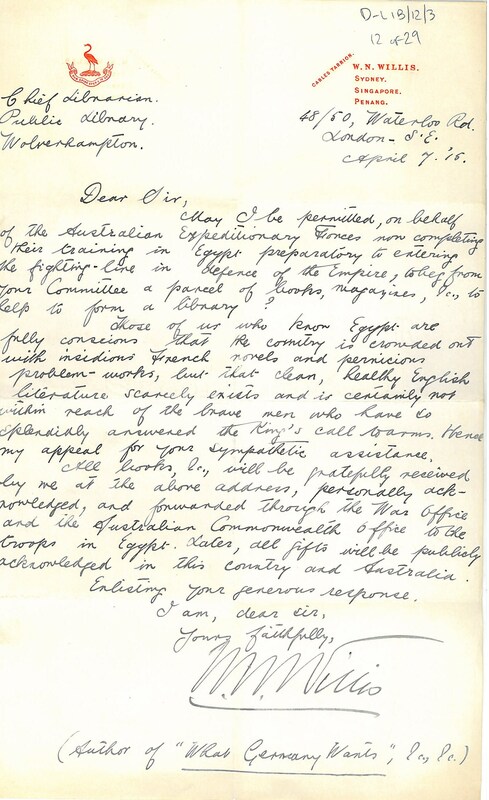 Finally, there is a Mr Guest who, on 16 November 1915, was “given permission to leave at 2.30 to go to the ‘Recruiting office’.” By 31 March 1916, “Mr Guest left today: ‘called for service’: this teacher makes the third from this department who has left to join the army.” Mr Guest also returned to his duties on 10 February 1919. There appears to be no further record of Mr David. The Girls School log book contains much less detail about the war. Other than two notes on 11 October 1915 and again on 31 January 1918 stating that “the schools are to be closed tomorrow (Tuesday) & on Wednesday, in order that the teachers may assist in completion of military forms.”, there is no mention of events on the continent.